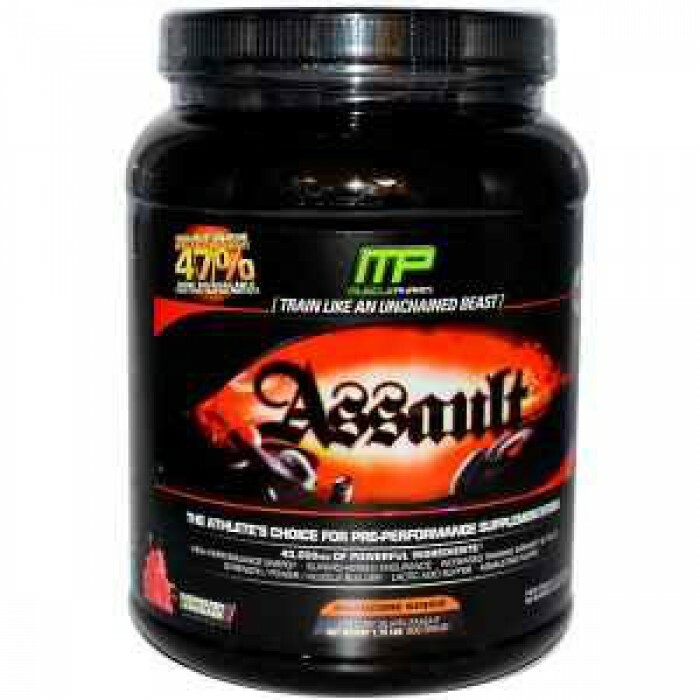 Muscle Pharm Assault is a mixture of numerous potent and scientifically approved ingredients that work collectively for a precise improvement in functioning, stamina increasing, and vigor building qualities. Muscle Pharm Assault contains double boosting power of the key ingredients rolled into one amazing pre workout product. Assault Raspberry Lemonade is a combination of several powerful, clinically proven, naturally occurring substances brought together for their specific performance-enhancing, endurance-boosting and strength-building properties. These key ingredients work synergistically to provide your muscles with true increased energy at the cellular level, to dramatically improve performance.